Your customers have a lot of choices on where to shop. That’s why it’s important to differentiate yourself and keep your business in the forefront of your customers’ minds. 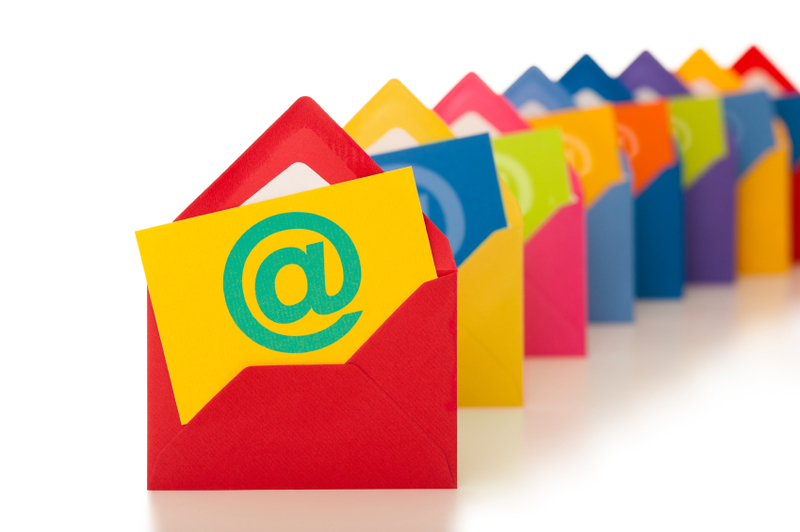 Email marketing is a simple and effective way to do this. By regularly sending emails to your customers, it reminds them of your services and can inform them quickly of any upcoming promotions. Email marketing is cost-effective, produces immediate, measurable results, and can result in a high return on investment. It is suitable for any business (of any size or budget), and can be used to enhance any other marketing technique your business currently implements. It will also allow your business to quickly reach most of your clients at once, which is usually a great idea around the holidays or before a large sale. To encourage email sign-ups, promote it on your social media pages, have a simple sign-up button on your mobile-friendly website, and offer a promotion when customers sign up for emails (such as a discount on their next purchase). Once people sign up for your email or newsletters list, you can begin promoting to them. However, it’s important to make your email stand out so that customers are more likely to read them. There are several ways to write a more effective email. Keep your email brief, genuine, and clear. Most people receive many emails throughout the day, so they don’t have time to read long emails. Stick to the point and let them know how your product, service, or promotion can benefit their lives. Create an effective subject line that clearly states what the message is about and will entice customers to read the email. Lastly, create an effective call to action that entices the reader to act. Your email should be personal, relevant, and written as if you are speaking to your customers directly (so, don’t over complicate it). It should also be mobile friendly, in this way customers can clearly read your email anytime, anywhere. Good content can strengthen the customer relationship and begin effective communication through a promotion, announcement, greeting, or thank you letter. If your business is interested in taking advantage of email marketing, but simply does not have the resources to do so, consider marketing automation solutions. With marketing automation software, customized deals and discounts can be automatically emailed to your customers. The software can automatically assess customer shopping and purchase patterns to determine what the most effective promotions will be for that particular customer. Marketing automation solutions can also systematically send emails to customers thanking them for their continued business, which can increase customer loyalty and encourage them to visit again soon. This will vastly improve the effectiveness of your promotions and increase your revenue in no time. Contact SalesVu for more information on how our marketing automation and complete business management solutions can improve your email marketing efforts. Finding a new customer takes significantly more time, money, and effort than it does to keep an existing customer. That’s why it’s so important to cherish your customer relationships and take measures to ensure they visit more often and encourage others to shop at your business as well. We have provided some tips to help improve customer interaction and engagement so that you can create customers for life. If your customers aren’t happy with their experience, they will shop elsewhere. Make sure your team is as enthusiastic as you are to provide great customer service and promote your brand. Your customers want to be heard. They know how to improve the shopping experience, so why not ask for their advice? By letting customers know that you care about what they think and want to improve the shopping experience for them, they will be more likely to visit more often. Leave a suggestion box, encourage online communication, and reply to customers’ questions, requests, and suggestions regularly so they know you are listening. One way that all businesses, large and small, can compete on an equal playing field is online. Any business can establish a strong online presence, if they offer valuable information, a helpful website, and effective social media business pages. Keeping your mobile-friendly website and social media pages updated with valuable content and promos will remind customers of your presence and inform them of any upcoming deals or store events. In fact, studies have shown that customers who engage with a brand online spend approximately 20% more on that brand. SalesVu offers marketing automation software, so you can make money effortlessly with automatic marketing campaigns designed to meet your customers’ needs. By first analyzing your customers purchase patterns, the software can customize the right deals and promotions for each customer. This can take the time and guesswork out of marketing to customers. The service takes no effort on your part and your customers will be subtly reminded to visit your store in the near feature. Thanking your customers can go a long way towards their future shopping patterns. Consider sending thank you cards or automatic emails letting customers know you appreciate their business. 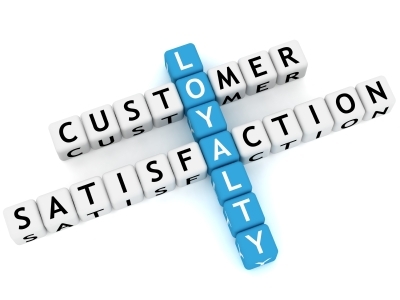 Loyalty programs are also mutually beneficial for both your business and your customers. They will encourage your customers to visit more often so that they can earn more points for a prize or discount, which can increase customer retention and sales in no time. This is also a simple way to collect customers’ information, including their phone number and email address, for future promotions. The best way to meet and exceed your customers’ expectations is to analyze their purchase patterns. This will help you quickly determine what is working and what needs to be improved. Contact SalesVu to find out how we can automate this important step for you with customer relationship management software and POS solutions designed to fit your business. With more than 1/3 of the population consisting of Millennials, everyone is online. They shop online, search for service providers online, and even spend all their free time on the web. Therefore, if your business is not set up to accept online payments, online purchases, and other online communication, you could be missing out on a significant amount of sales and revenue. In today’s day and age, shoppers want more than just quality products at affordable prices. They want convenience, simplicity, and a fast solution. When they want to purchase something quickly or receive instant gratification from a payment, if your business can’t support them, they may go elsewhere. With online payments, potential customers can make a purchase anytime, anywhere for optimal convenience. After offering promotions all year, paying for marketing and advertising solutions, and pursuing other means of attracting new customers to your business, the last thing you want is for them to leave your site frustrated once they come to the checkout process. You may end up scaring away a potential customer simply because they can’t make payments on your site. Most businesses realize that online payments are a basic necessity for most small businesses and e-commerce sites. If you want to keep up with the competition, you need to offer this service as well. Otherwise, your customers may end up just taking their business to your competitors. An online purchase and payment requires very little effort from your business. You don’t need to greet the customer at the door, ring up their sales, assist with questions, take payment information through the phone or email, or anything else pertaining to the sale. So not taking advantage of these simple, convenient purchases is like throwing money away. 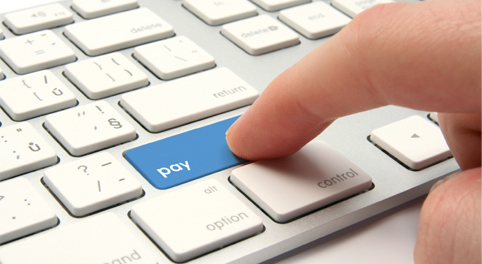 As the holiday season nears, it is especially important to get on board with online payments. People are typically shopping at all times of the day and night online to quickly get gifts for everyone on their list. Don’t you want to realize some of those sales? Your business should be able to accept online payments, gift cards, loyalty rewards cards, and other means of payments that your customers are interested in. Over time, it will lead to reduced operational costs, more sales, higher customer satisfaction, and access to a global market. Contact SalesVu for more information on how you can boost sales, optimize the checkout process, quickly set up an e-commerce site, and start accepting online payments right away. 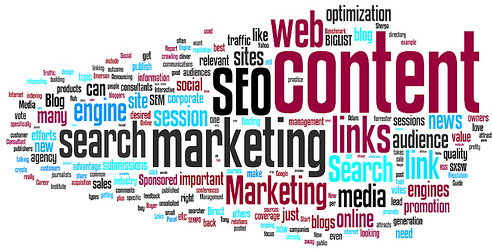 A strong, organized online marketing campaign is an integral part of any business plan. A valuable tool in your online marketing campaign is social media. While social media pages may not cost much (or anything at all), they do require an investment of time to ensure they are kept updated, remain current on industry trends, and are responsive to customer needs and inquiries. Each business can benefit from a unique combination of these top marketing strategies. However, social media management is important for almost any business, regardless of the industry, business size, or clientele. Millennials now control the majority of the population. Therefore, your business needs to cater to them. And where do Millennials spend most of their time online? Social media sites. It is where they spend their free time, search for products and services, and engage with companies and brands they love. Your business needs to be there to interact with them and gain their business. One way for small businesses to compete with large brands and conglomerates is through social media. By making your business pages, website, and/or e-commerce store user-friendly, informative, and aesthetically pleasing, your customers will be more likely to visit, even over their usual service providers. It can be difficult to connect a measurable return on investment to your social media accounts. However, this is not the main benefit of social media. Rather, it is a platform to help you promote your content, services, and knowledge. By promoting helpful, valuable content, your business can connect with a larger audience and more easily display your industry knowledge and expertise, making customers more likely to trust your business. It is also a way for your business to connect with customers over time and continue to build a relationship with them that will lead to long-term loyalty. Many businesses decide to join in on the social media bandwagon, but then put all their eggs in one basket. The best way to reach your target audience quickly and effectively is to promote your content and website on more than one social network. This will ensure that more potential customers and search engines notice it now. While your business may not necessarily need to maintain an active Facebook, Twitter, Pinterest, Google+, and LinkedIn page all at once, the more networks you participate in, the more people you will connect with and the more diverse the people’s interests, demographics, and expectations will be. You won’t build a strong online and social media presence overnight. However, with time and consistent postings, your business can stand apart from the crowd online, which can generate more real customers. If you aren’t sure how to set up your business profile, you can find free assistance online to guide you through it. You can also contact us for more information and to find out how other online marketing and business management solutions can further improve business efficiency and increase your customer base. 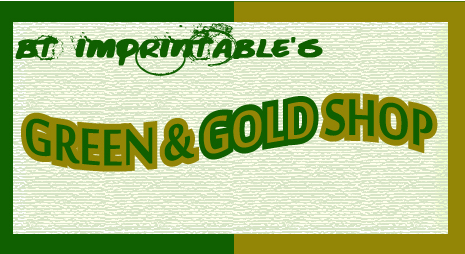 BT Imprintable’s Green and Gold shop are located in Colorado and provide embroidery, screen printing, laser engraving, and digital printing services. They also provide a large selection of Colorado State University merchandise at great prices for all the students and fanatics of the CSU Rams. Business manager Vincent Booker talked to us about the advantages he found with SalesVu inventory management feature. “I really like the last update SalesVu did to the admin. The fact that they provide me the option of tracking my inventory online is convenient and very easy. I love the way it correlates with my website and how it lets me know when I am running low on any of the supplies. No customer will ever hear from us that we don’t have a material available. SalesVu inventory management helps me to keep everything organized”. Vincent told us with great enthusiasm that before he had to do things the old way. So he wasted a lot of time locating things that he needed to re-store to keep business flowing. ” I am not paying the excessive fees that other business management options offer and I am getting really good results keeping everything on track for my customers. At the beginning I was looking for something inexpensive. I could not afford the 8000$ and up fees that other systems charge and don’t even include the inventory tracking that SalesVu gives me. I have a pretty small university store, it is about 800 sq/ft and the SalesVu management system and its inventory tracking adapts perfectly to my needs”. When we asked Vincent if he considered other competitors or other management systems, he said he used to have PayPal and Square but that they were charging a lot for a very simple service. If you want to know more about Vincent’s store in Colorado be sure to check out their website clicking here or visit their social media pages clicking any of the images bellow. Every business has a slow period at some time or another. Whether that slow period lasts a day, a week, or a season can be dependent on a number of factors. SalesVu automated marketing features can help your business upsell and overcome any rainy day. Besides, having a rainy day plan in place can help during these slow periods so that you are still able to reduce your inventory and increase sales and revenues. Engaging more with customers through online and social media outlets will remind them that you are still open for business, offering sales, and adjusting your business to fit your customer needs. This may also be the time of year where you send your customers a “thank you” and let them know you appreciate their business and reminding them to visit again. Engaging with customers online will help reduce slow days and help your business better anticipate customer behavior. Once your employees form a better relationship with your customers, they can make better suggestions and have more potential to increase sales. Have you been meaning to fix up your website, e-commerce store, or Facebook business page? Take advantage of this slow time to catch up on your social media accounts so that you have solid content and a strong online presence. This will also allow you to quickly interact more with customers, connect with a new audience, and reach out to your contacts. Most importantly, by getting customer feedback, you can find out if your business is slow due to the economy or something that your business can address. If you currently have a loyalty program in place, remind your customers that the more often they visit, the more points and rewards they can earn. You may also consider implementing a referral program, so that your loyal customers enjoy a reward and you enjoy a new customer for every referral. Start planning campaigns now that can be implemented when business picks up again. This way, once business increases again, you are prepared for growth and know how to leverage the increase in sales and customers. Begin by reviewing your business plan to see what your goals are and what the next steps are to achieve them. Next, organize your ideas to identify potential business opportunities that require attention. 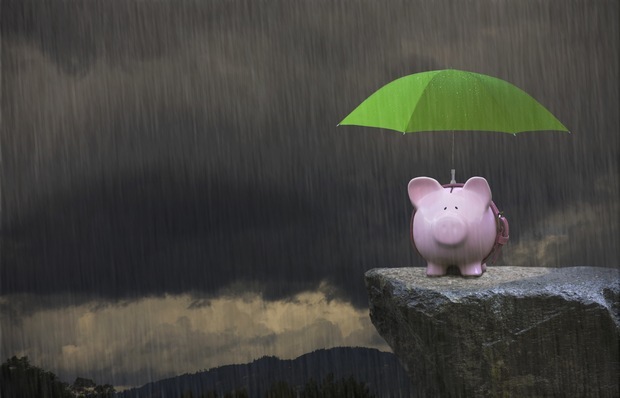 Having a rainy day fund set aside can sustain your business through the slow times. Start planning for that now, saving for that during the busy times, and the slow times won’t feel so bad. If there is something your business has been putting off, such as a frustrating task, now is the time to do it. You can also take advantage of the free time by cleaning house, organizing inventory, and giving your business a facelift with a new storefront design or décor. If you have not yet taken advantage of all that technology has to offer, such as a POS system, appointment management and scheduling system, or automated marketing options look into it now so your business is prepared for the upcoming upswing in growth. Contact us for more information on how our software can assist both during the busy and slow periods. How can your business benefit from a loyalty program? SalesVu iPad POS System and customer management can help. Customer loyalty means everything. 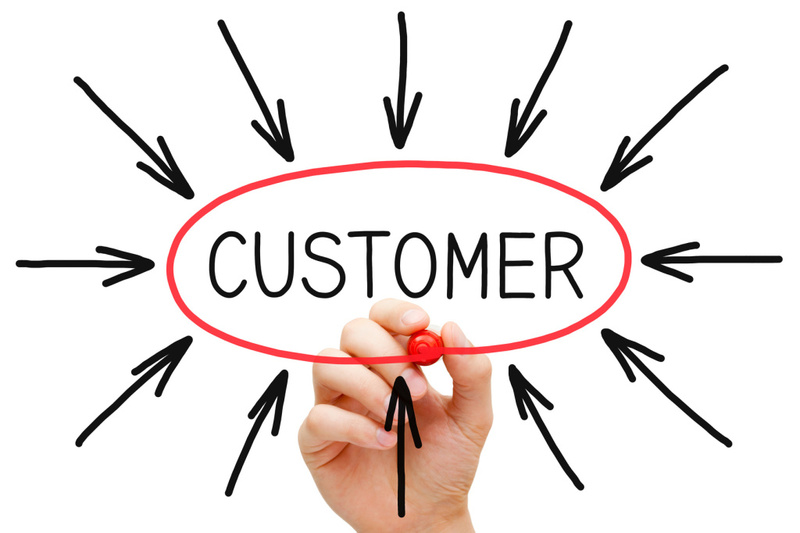 It is much easier to reward and keep a loyal customer than it is to earn a new customer altogether. Most importantly, you want your customers to have a reason to continue returning to your store again and again. This is where a loyalty program can come in and provide a valuable benefit to both your business and your customers. Everyone loves rewards and to get something for free. With a loyalty program, your customers will feel like they are getting something for free by shopping at your store more often. You are also showing your appreciation for your customers, which will strengthen their loyalty towards your store. For example, if a shopper is able to purchase the same item from your store and your competitors’ store, but you offer a loyalty reward program and your competitor does not, where do you think the customer will shop? In fact, studies have shown that shoppers are about 2/3 more likely to shop at a store that offers a loyalty rewards program than one that does not. With a loyalty program, you can begin noticing trends around purchase patterns, demographics, and more to offer better services and more targeted advertising campaigns. By better understanding your customers, you can also reduce your advertising costs with more effective marketing. With a loyalty program management system, your customers can check into your store, earn points when they shop, and then cash in those rewards for something they really want. Both new and existing customers will want to visit more often to earn as many points as possible, which will lead to higher profits for your business. There is always competition and by constantly changing and moving, you can continue to improve and keep up with the industry. An important part of business success is watching what your customers buy and being observant of their shopping trends. A loyalty program can assist with this by helping you anticipate your customers’ behaviors to more easily determine prices and manage inventory. Large companies and conglomerates already take advantage of loyalty programs and with our easy-to-use software, now your small business can benefit from them too. In fact, more than 80% of small business owners have reported that loyal customers are the main source of their business, so why not reward them for their continued patronage? Leave the work to our reliable software, which will allow your customers to organize their points and rewards online, while streamlining your business operations. Posted in Uncategorized	| Tagged Customer Management, Email & Facebook Marketing, Gift Cards Management, Recurring Billing	| Comments Off on How can your business benefit from a loyalty program? SalesVu iPad POS System and customer management can help. Creating a Facebook Business Page can be an enjoyable, rewarding experience that pays off big for both your business and your customers. It can help establish your brand reputation, highlight what matters to your customers, and build customer loyalty, while attracting new customers. To get the most from your new page, consider the tips below on how to create a strong, successful business page. To begin, complete your profile as thoroughly as possible. Include your business information, motto, slogan, business goals, logo, contact info, photos, and any other pertinent information so that potential customers can easily find you and what you’re all about. Your customers don’t always want to hear about how great your business is. They are most likely visiting your Facebook page because they have a question or need a specific product or service. Mix up your self-promotional posts with informational pieces that can help answer your customers’ questions and establish your reputation as a trusted industry leader. Create an eye-catching page that can stand apart from your competitors and will entice your customers to visit more often. Create a modern page with posts and photos that your customers will want to view. Even if you are only sharing other articles or industry content, it is best to post often. When you post infrequently, readers won’t want to visit often because they know they won’t be greeted with fresh content. Consider creating a content calendar so that you can plan future posts and never fall behind on posting content. Facebook insights are free with your business page, so take advantage of the valuable information it offers. 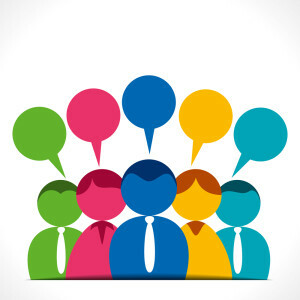 If your customers interact with your page, it is important to respond in a timely fashion. They want to know that there is someone on the other end of the line who can promptly help them. This will indicate that you can also quickly respond to their business needs. 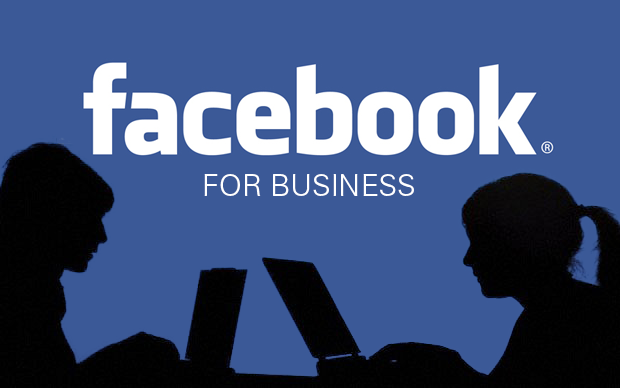 Facebook offers extensive assistance, if you have questions or need to improve your page. WoodsEdge is a Bible based community church located in Spring, Texas. Their passion is to love Jesus with all their heart, and to seek to love Jesus more than ever before. They do that by cultivating an environment where no one walks alone and where they remain together in their journey towards Jesus. SalesVu credit card processing has helped the members of this religious community by securing transactions in multiple locations and by offering an easy way to transfer donations and payments to the WoodsEdge account. We were excited about understanding how a mobile credit card processing system like SalesVu could help and actively support a cause like the one WoodEdge Church has. Janet told us that SalesVu credit card processing has performed very well in the multiple locations off from their main campus. 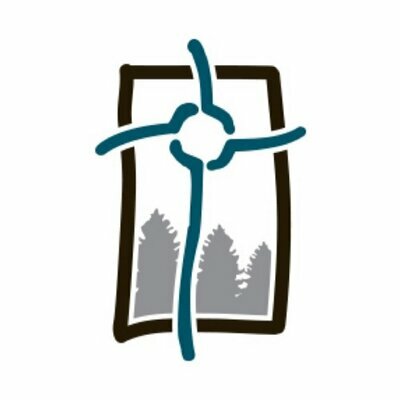 If you want to obtain more information about WoodsEdge mission and values, please go to their website at www.woodsedge.org or follow them in their social media networks clicking the icons below. When customers shop for products or services, they are looking for a positive shopping experience and want to find a business who can offer them something different – and better – than the competition. Whether better service, lower prices, or higher quality products are your edge above the rest, there are ways to leverage your small business to better connect with customers, attract sales, play to your strengths, and stand up to big competition. Customers want to be rewarded when they shop at any store. They can choose to shop wherever they would like, but they choose your store, so it is important to thank them for it. By offering a rewards or loyalty program, your customers will feel better about choosing your store and can even use their rewards to make future purchases for free or at a discounted price. With a POS system, you can also send automatic emails to your customers alerting them of upcoming sales and additional rewards opportunities, so they are more likely to shop. With automatic inventory management from your mobile device, you can also easily determine what your customers are buying most, so you can keep the inventory full and your customers happy. You can also view sales reports by product, employee, business location, and more to observe shopping and spending patterns. This will also allow you to more easily take advantage of new opportunities, create personalized product recommendations and upselling options for your customers, and make important business decisions. When your customers are happy, they will let their friends, family, and neighbors know. By satisfying your current customers, you have a better chance of encouraging future referrals and conversions. Encourage your current customers to refer friends and family with referral rewards or sharable coupons. A large part of a business’s reputation has to do with customer perception. If they cannot even find your site online or aren’t able to quickly find and purchase what they need at your store, then they make look elsewhere. By creating a trustworthy brand image, useful e-commerce site, and strong online presence, your business can begin building a reputation before your customers ever enter the door. In fact, with the right branding and online presence, your business can measure up against your largest competition to an outsider. If you haven’t already taken advantage of a reliable POS system, now is the time. With our POS system and mobile POS software, you can do more than just accept payments, schedule appointments, and track employee shifts. You can also take advantage of inventory and supply chain management, accounting and bookkeeping, marketing automation, and much more. This can remove the burden of completing these tedious tasks so that you can focus on what you do best. This will also allow you to see how your business is doing at any time, from anywhere. Competing with the best begins with taking advantage of today’s technology. Contact us today to inquire about our POS systems and customized all-in-one business management solutions.